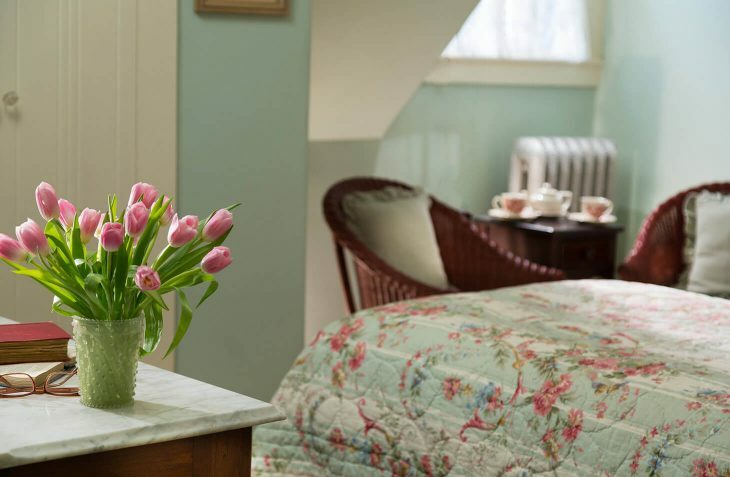 Room 10 at our Maine bed and breakfast offers exceptional Castine lodging. 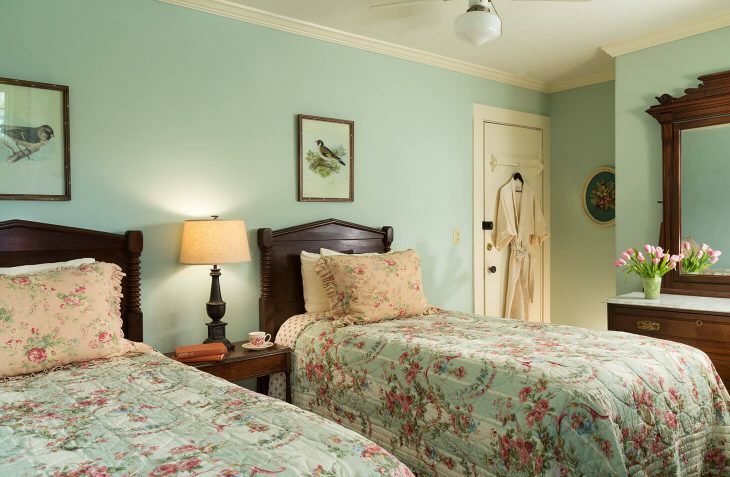 The two twin beds are adorned with Empire rope turned headboards and pair nicely with the Eastlake marble top dresser. 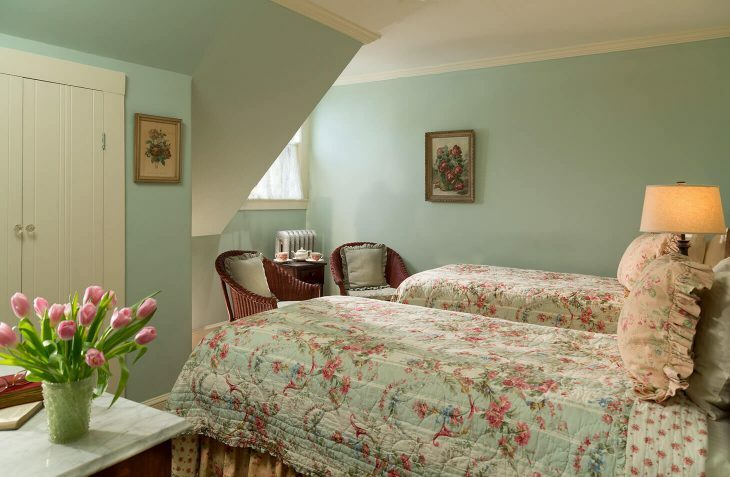 The window looks out to the garden, reflecting back cool greens and bright floral bed coverings. 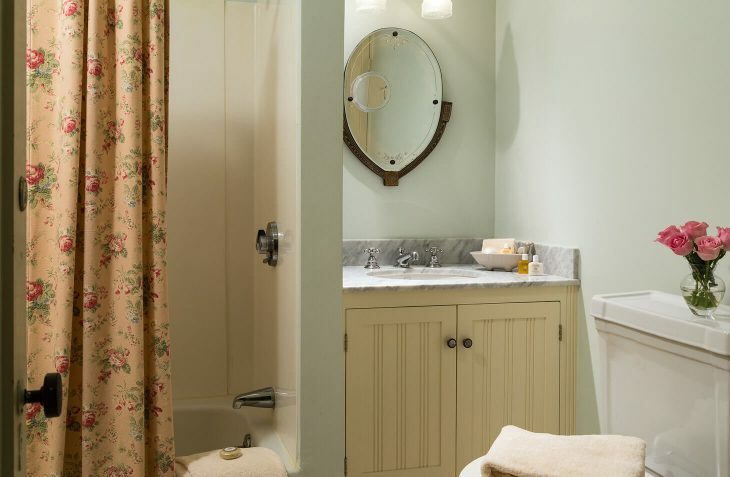 The large private bath is across the hall, and offers wainscoting, tile, marble top sink, and a tub with shower. Bathrobes are provided and coffee is right outside your door in the morning. 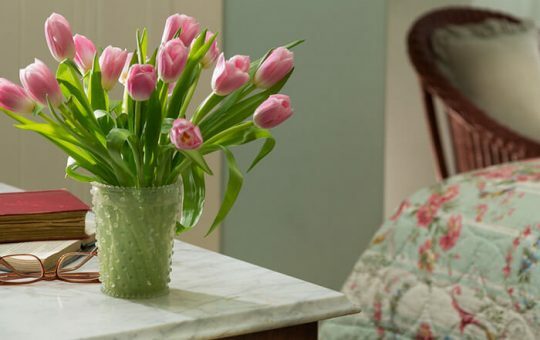 A bouquet of flowers from our garden will be waiting for you upon arrival.